Walnut is a stain. The color is a chocolate brown color and is lighter than Espresso stain. 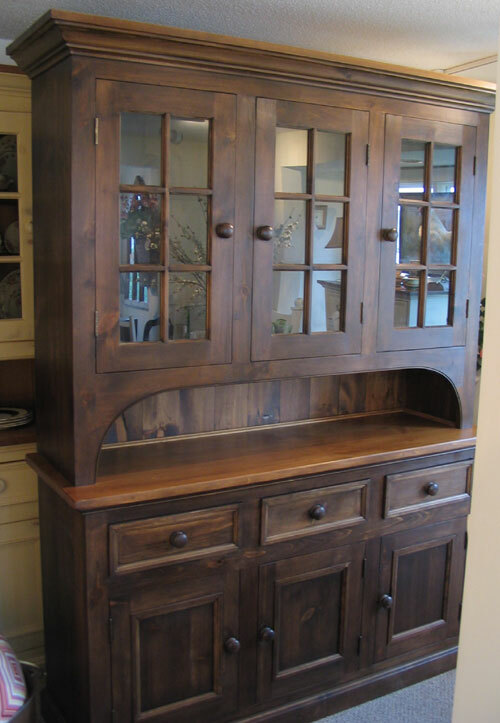 The item shown is a 3 Glass Door Stepback Cupboard.